The Oh K! 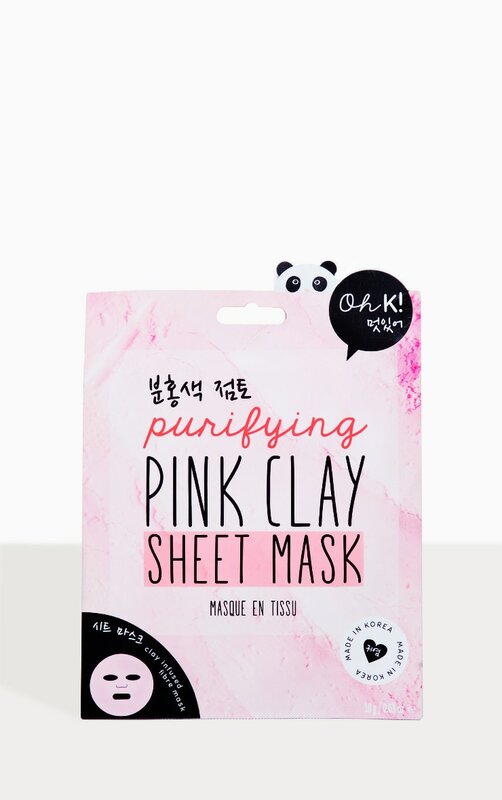 purifying sheet mask, is infused with a layer of pink clay to deliver a deep cleanse. Formulated with a trio of natural clays to purify the skin and reduce the appearance of pores. Rosehip oil helps to unclog pores and even skin tone whilst maintaining the skins moisture levels. 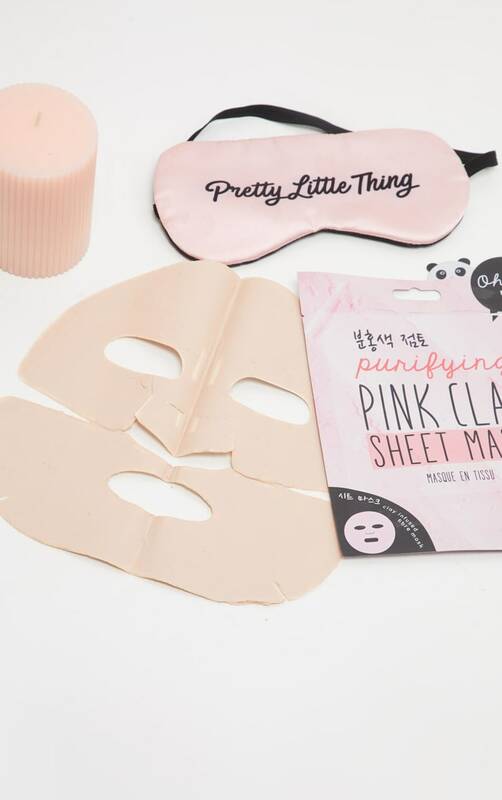 Delivering the intense detoxifying cleansing powers of clay in a mess free, easy to use sheet mask. 1. Cleanse your face, as usual, removing make-up. 2. Remove sheet mask from sachet and apply to face. 3. Put on your favourite playlist and relax for 30-40 minutes. 4. Remove mask and use circular motions to massage residual liquid into the skin. No need to rinse.